We know you will love these flat front chino with a fashionable, tapered fit. The Bushwick Pant is a step above casual. Available in Ginger Bread. These pants feature adjustable waist tabs and a skinny leg fit. Two flat pockets in the front and slot pockets in back. Zipper and logo snap closure. 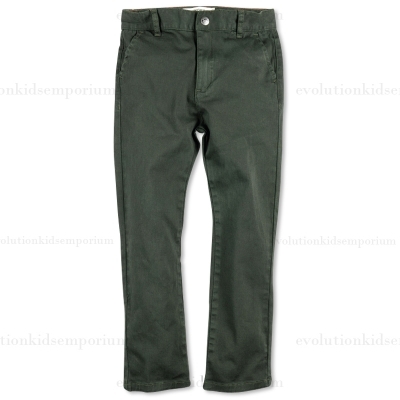 It's a versatile pant that can be dressed up or worn casually. Pair with one of button down shirts for a classic look or great with one our graphic tees too!